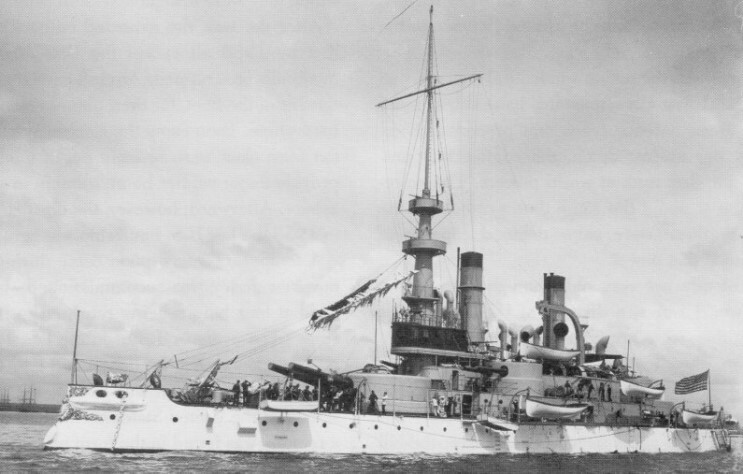 USS Indiana seen in the late 1890's. 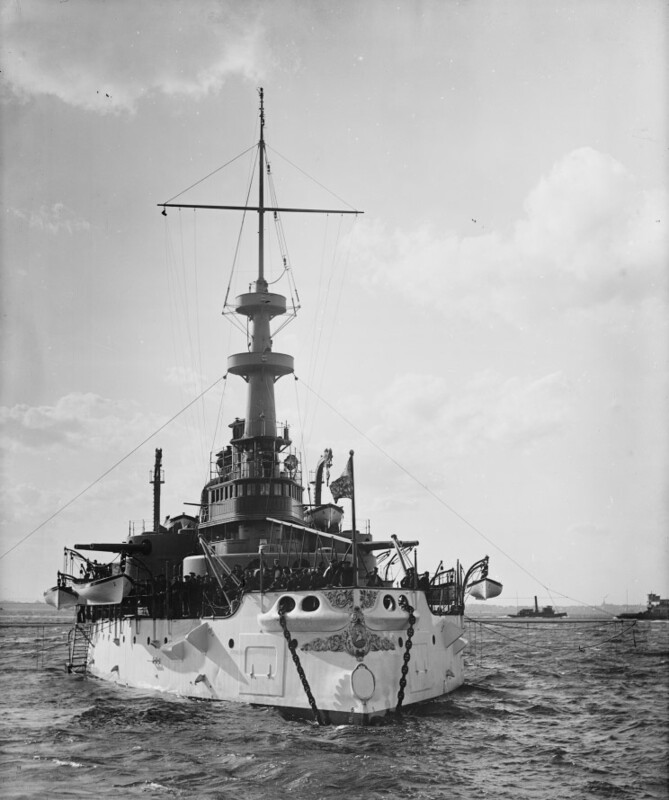 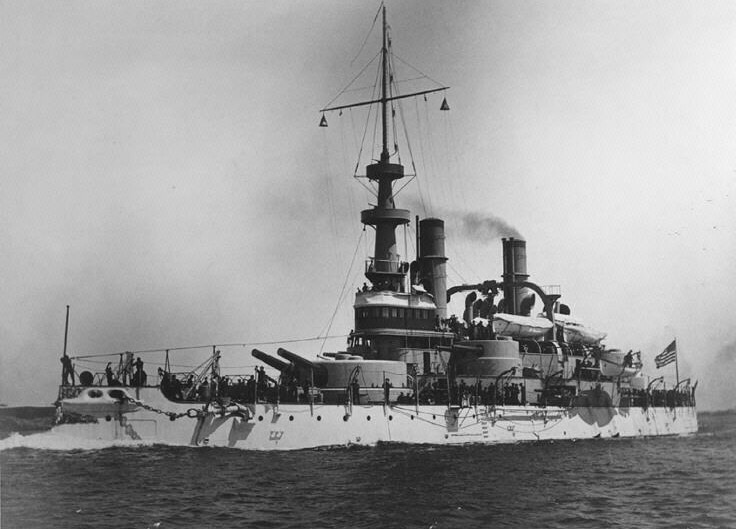 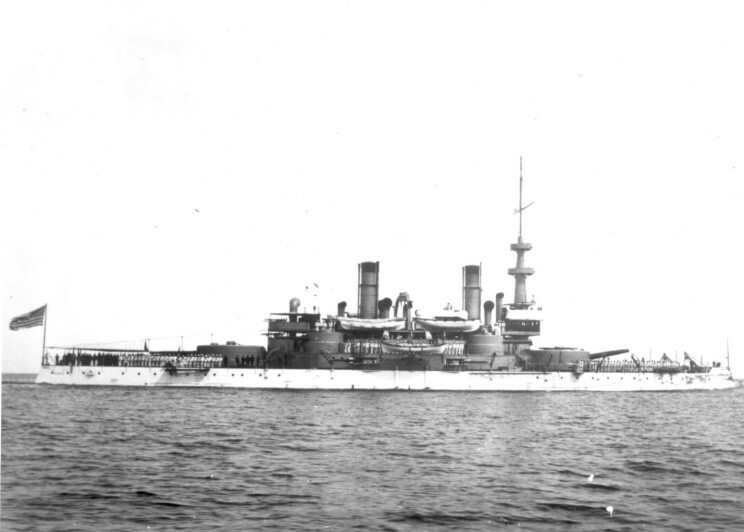 USS Indiana seen in early 1898. 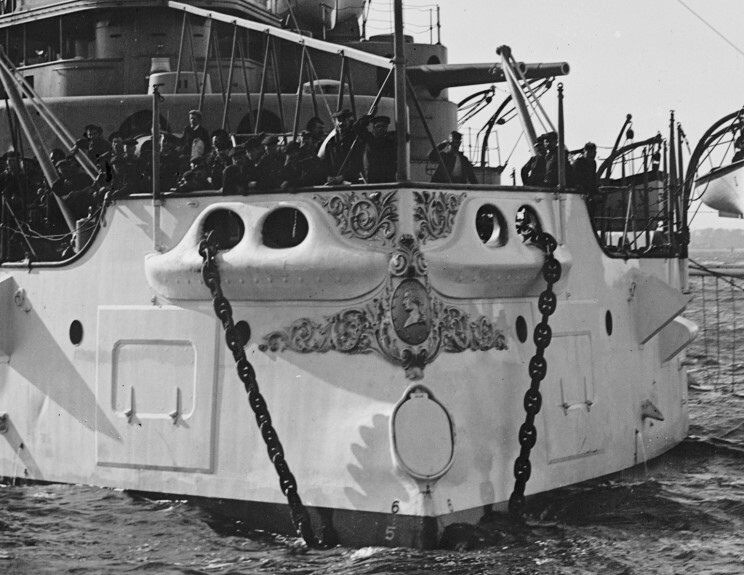 Close-up of the ornate bow and torpedo tube of USS Indiana.